Loyalty Gator Inc. is an international loyalty and gift card program provider and consulting firm. Our cloud based loyalty platform was developed by some of the best and brightest loyalty marketing professionals in the industry who value continued education and immersion in current market trends. We pride ourselves in understanding the true concept of loyalty and how it impacts businesses. We strive to deliver the best products and services and to work for our clients’ best interests. Loyalty Gator Inc. is a privately held corporation. This means we are working for our clients, not our shareholders. We put our clients’ interests first because we understand that a completely satisfied client is a loyal client. We never sit still. We are always innovating and improving our services to better suit our clients. We listen. We love to hear client feedback and try to incorporate it into our systems to provide a more fulfilling experience. Our mission at Loyalty Gator is to help businesses grow and prosper. Businesses are the center of a strong economy. We want to share the gift of loyalty with our clients, small, medium and large to help them to achieve greater success. We want to help businesses build their brand and customer base while strengthening customer relationships and meaningful communication. Our mission is to enable our clients to enjoy the wonderful experience that customer loyalty delivers, affordably. Loyalty Gator is the smart choice for companies that want to be actively involved in customer retention at an affordable price. We offer flexible solutions for companies of all sizes from the smallest business to the largest multinationals. We offer the best value to our clients compared with any other company in the industry. Don’t take our word for it though. Compare us with anybody else and you will quickly realize why we are the smart choice. Affordable pricing, no transaction fees, user-friendly interface, and superior support are just a few factors that set us apart. All of our clients love the fact that our service is so intuitive and easy to use. It is highly adaptable and can connect with many different devices and services. The loyalty marketing professionals at Loyalty Gator are highly talented and educated individuals that truly demonstrate quality customer service and creativity. We genuinely understand customer retention and customer loyalty and want to bring our great service and expertise to you. 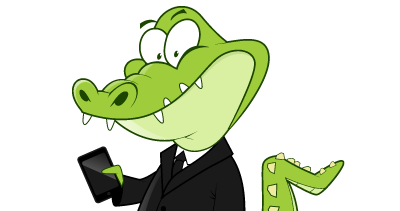 Before I found Loyalty Gator - I spent a lot of time looking for a loyalty program to setup for our business that would fit our needs. All I found with other loyalty programs was: hype, empty promises, not enough technical info, overpriced, and limits how many people you can sign up per price tier. Or flat out never responded to my inquiries. Then I came across Loyalty Gator! They immediately responded back to my inquiry answering my technical questions in depth, and after I saw that level of commitment I immediately scheduled a demo! [My rep] guided me through the system while answering all of my questions, and its very straightforward once you get the feel for it. They even have a knowledge base site where you can get answers & support for what you're doing or having trouble with... no hiccups or headaches in service! It was a huge load off my back to find Loyalty Gator! All the associates in store love it, and are able to talk it up with confidence!